Few investigators doubt that the world has warmed recently. Nor that the enhanced “greenhouse effect” of pollution from gases such as carbon dioxide, will warm the planet. But in the past five years, climate researchers have growing increasingly aware of how little they really know about the natural variability from which they must pick out the “signal” of human influence. As you watch this video of Jacob Bronowski’s cautions, think for a moment about what it must be like for him to stand on the ground where his slaughtered ancestor now rest. Mr. Bronowski explains from his own personal experiences, the devastating effects of trying to gain ‘absolute knowledge’ and ‘absolute power’. The interview, when conducted by Michael Parkinson in 1973 was said to be his [Parkinson’s] most memorable interview. When I heard Carol Browner quoted as saying, “the science is settled”, I could not help but think of Bronowski’s words as he stood atop the ashes of his family and loved ones. You see, for any one man or organization to gain supreme or absolute power, a portion of that power must be relinquished or overturned from somewhere else. In Nazi Germany’s case, the power was ‘taken’ from the Jews with force. This type of genocide has never taken place in America for obvious reasons; a)the people in America have always (in our history) maintained more power than their government (until now). b)A governing body has never been able to execute an agenda contrary to popular request (until now). Our system of government (The Constitution) has protected its people for years, until now. I can assure you that when government is ‘allowed’ to make decisions based on what ‘they’ think is right for the people as opposed to what ‘the people’ think is right for themselves, it is surely the beginning of something terrifyingly similar to Bronowski’s lesson from Auschwitz. 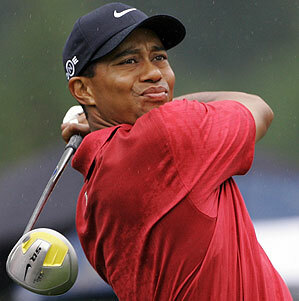 Breaking News – Reportedly, Tiger Woods was seriously injured in a car accident at 2:25 am this morning. In addition, FL law enforcement said there may be charges pending. The reasons for the charges are unknown at this time. (Orlando Sentinel) Professional golfer Tiger Woods was seriously injured in a car accident early this morning, the Florida Highway Patrol just reported. Woods, 33, pulled out of his driveway in the Isleworth community about 2:25 a.m. when he struck a fire hydrant, and then drove into a tree at his neighbor’s property, FHP reported. FHP said the airbags in Woods’ Cadillac Escalade did not deploy, which means the vehicle was traveling under 33 mph. Orange County Fire Rescue received the call for aid at 2:28 a.m. Woods was transported from his Windermere-area neighborhood by the hospital’s own ambulance. A Greener Earth By Way Of Browner? Let’s talk about Carol Browner for a moment. Global Warming Czar Carol Browner, a former member of the Commission for a Sustainable World Society for Socialist International has a past that I think you should know about. I found it quite interesting that Carol’s bio has been removed from the site. Is that a connection Americans should be concerned with? I’m sure its just a mistake. No matter, clever Carol was a founding member of The Albright Group LLC., an international strategic consulting firm that was founded in 2001. The Albright Group specializes in assisting major companies (i.e. Coca-Cola, Merck etc.) in dealing with the challenges of meeting new standards set forth by environmental regulations and climate change. In 2005 Albright Capital Management was established. ACM was created for the sole purpose of participating in fund management. In 2007, the firm was given $329 million to invest in new, emerging markets. I wonder if Carol still has any type of ‘vested’ interest in these profitable organizations- now that she controls the very laws these companies will pay millions to adhere to? (James Delingpole) If you own any shares in alternative energy companies I should start dumping them NOW. The conspiracy behind the Anthropogenic Global Warming myth (aka AGW; aka ManBearPig) has been suddenly, brutally and quite deliciously exposed after a hacker broke into the computers at the University of East Anglia’s Climate Research Unit (aka CRU) and released 61 megabytes of confidential files onto the internet. When the first wave of “magic” warming numbers were released, the public was left wondering, is this simply an isolated incident of fraud or perhaps the tip of the rapidly melting iceberg? All questions were quickly answered. 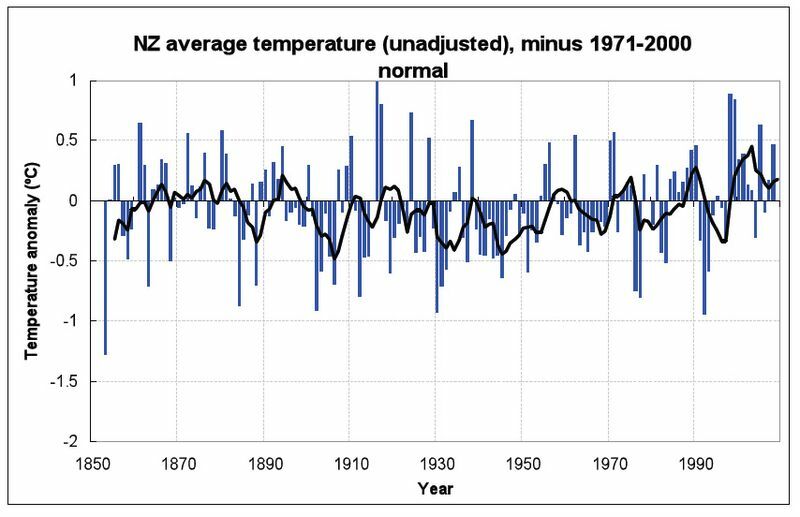 (Anthony Watts, whattsupwiththat.com) The New Zealand Government’s chief climate advisory unit NIWA is under fire for allegedly massaging raw climate data to show a global warming trend that wasn’t there. In ten rapidly approaching days the UN Climate Summit in Copenhagen starts and the real damage control will officially begin. I truly am curious to know whether or not the tremendously deceitful actions of theses faux scientists will make the agenda. When this whole global warming thing is done, does anyone think the government might suggest paying off the health care deficit with “carbon credits”? (2004) Fallujah, somewhere over the Euphrates River the bodies of two (four were killed in the incident) mutilated Blackwater contractors hung from a bridge after being beaten and dragged through the streets. While I cannot comment on the mental makeup of such perpetrators, I can tell you we as Americans must enforce an appropriate response. 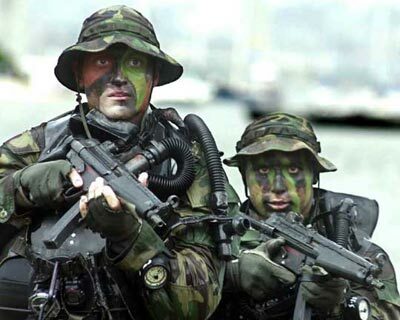 Now we have the spectre of seeing three U.S. Navy SEALs arrested because the terrorist they captured claims he was punched! Who is the enemy here? Four SEALs captured Ahmed Hashim Abed, codenamed “Objective Amber” on September 3rd. Abed was the ringleader of the group who ambushed four security contractors in Fallujah in 2004, and hung their burned bodies on a bridge. One of the four, Scott Helvenston, had been a Navy SEAL himself for twelve years. So now we have Navy SEALS who should be awarded the medal of honor for finally capturing a brutal terrorist and yet, are being sent to a Court Martial. We have the 9/11 terrorists being given the constitutional rights of American citizens along with a hearing in our Federal court system. And finally, don’t forget the millions of dollars to be collected from our citizens for taxes based on “carbon use” when global warming is turning out to be one big scam. Anyone else mad?